And here we are-- we have arrived at the final night of the SuperPhillip Central Best of 2012 Awards! This is the night that we delve into what will be win the coveted Game of the Year 2012 award. However, before we can get to that, we have one more award to hand out. Let's get to it! The newest platform to hit the market, the Wii U released with a healthy selection of games. Where can you go wrong with a list of titles like a new Mario for release, the first since 1996 and the Nintendo 64, ZombiU, a home version of the Scribblenauts franchise, Sonic & All-Stars Racing Transformed, ZombiU, Batman, Darksiders II, Call of Duty: Black Ops II, Assassin's Creed III, and several digital delights like Trine 2: Director's Cut and Little Inferno? The release list for 2013 is bleak, but there are so many launch games to go through, most people will still be playing those long into the new year. 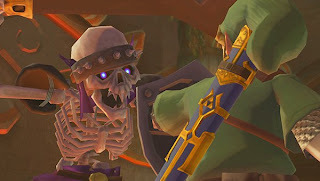 The cast of familiar faces that hit Nintendo's portable platform was numerous. We had Mario (New Super Mario Bros. 2, Mario Tennis Open, Paper Mario: Sticker Star), Pit (Kid Icarus: Uprising), Jill Valentine and Chris Redfield (Resident Evil: Revelations), Final Fantasy all-stars (Theatrhythm Final Fantasy), Professor Layton [and the Miracle Mask], and many more. We had plenty of new franchises, too, on the 3DS, like Rhythm Thief & the Emperor's Treasure, Heroes of Ruin, Code of Princess, and the list goes on. You can wave "It's not selling well" in the face of people all you want, but to say that the PlayStation Vita was lacking games in 2012 would be a total and blatant lie. You had the awesome launch list of games like Uncharted: Golden Abyss, Hot Shots Golf: World Invitational, WipEout 2048, and Touch My Katamari, you had newer games like LittleBigPlanet Vita, Gravity Rush, and Assassin's Creed III: Liberation. 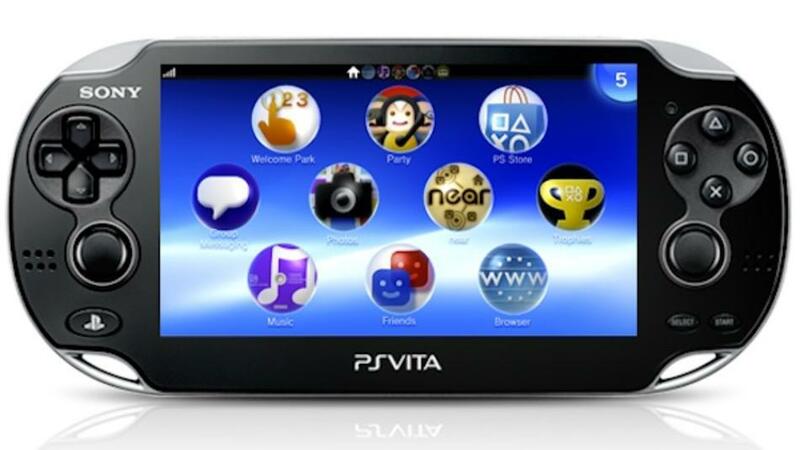 There's plenty to love about the Vita last year, so that is exactly the reason why it is nominated in this category. While the Xbox 360 struggled to get a lot of my attention in 2012, it did deliver some promising and engaging games. Halo 4, anyone? 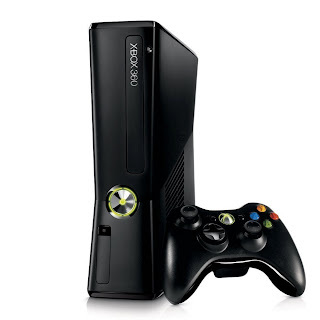 Or how about Forza Horizon? Even Kinect had some games that were no slouches. I'm speaking about Dance Central 3. Then you have downloadable games that meant Xbox Live Arcade was where it was at if you didn't care for Microsoft's retail exclusives. 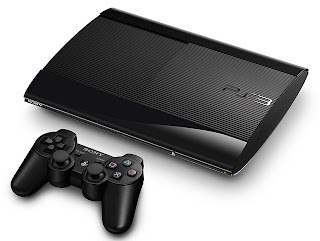 The winner of last year's System of the Year award, this year the PlayStation 3 had a more relaxed year. However, don't think that means a bad year. No, we had wonderful titles like what many consider to be the game of 2012, Journey. 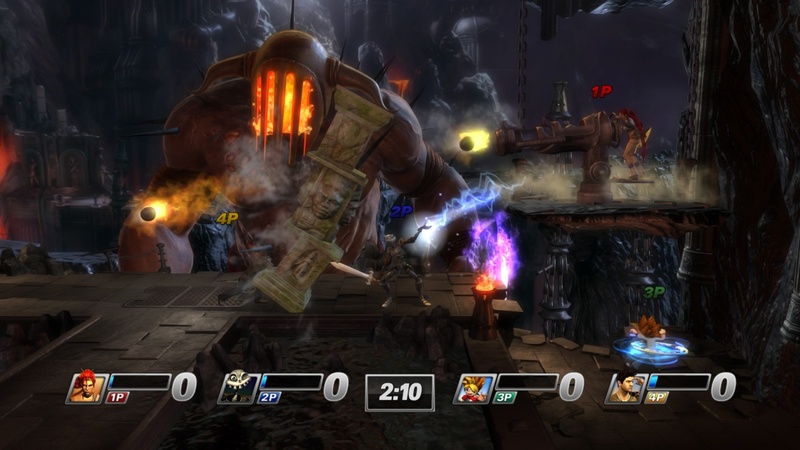 We have Sony's Super Smash Bros.-like fighter, PlayStation All-Stars Battle Royale. 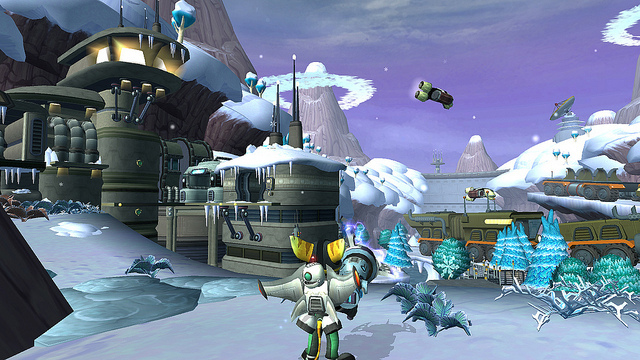 Ratchet and Clank returned for some Full Frontal Assault. 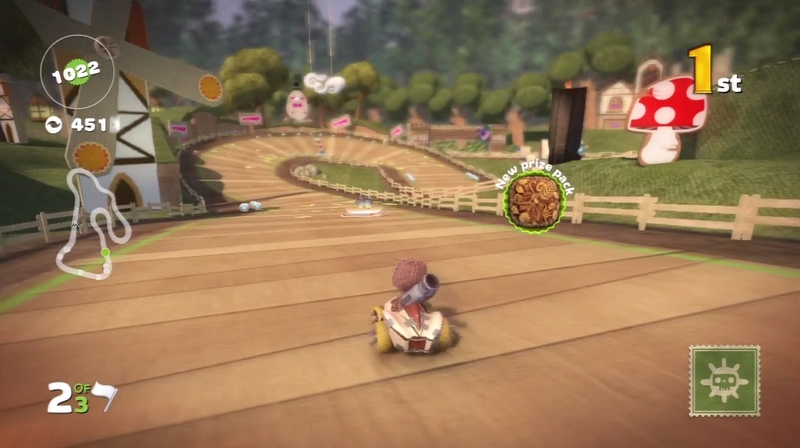 Even Sackboy got into the fun with LittleBigPlanet Karting. If you were looking for some fun, PlayStation 3 was a good place to find it. Simply put, the Nintendo 3DS had the most games that appealed to me this past year. There were titles for everybody, titles for the niche, titles for beginner gamers, titles for expert gamers, and-- well, you get the drift. 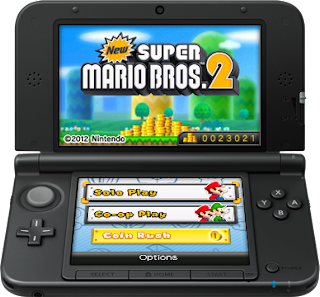 It is for those reasons and the arrival of the bigger, better XL that the Nintendo 3DS wins this year's award for System of the Year. Now, for those of you who have been with SuperPhillip Central since the beginning, you probably know what is next. Even if you don't, what I customarily do now is take a look back at the Game of the Year for the last year. If you don't recall what it was, consider this a refresher. Although it started off very slow and held the player's hand, my favorite game of 2011 was The Legend of Zelda: Skyward Sword. It was finally a mainline Zelda game that was custom tailored for the Wii. It brought with it 1:1 motion controls that I absolutely adored. One felt like a fierce warrior as they swung the Wii Remote like a sword, slaying enemies and solving the most devious of puzzles. 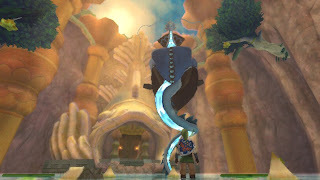 Skyward Sword featured some of the series's best music, best bosses, and most interesting dungeons. These reasons are why I selected The Legend of Zelda: Skyward Sword over games like Batman: Arkham City, LittleBigPlanet 2, Super Mario 3D Land, and Tactics Ogre: Let Us Cling Together. 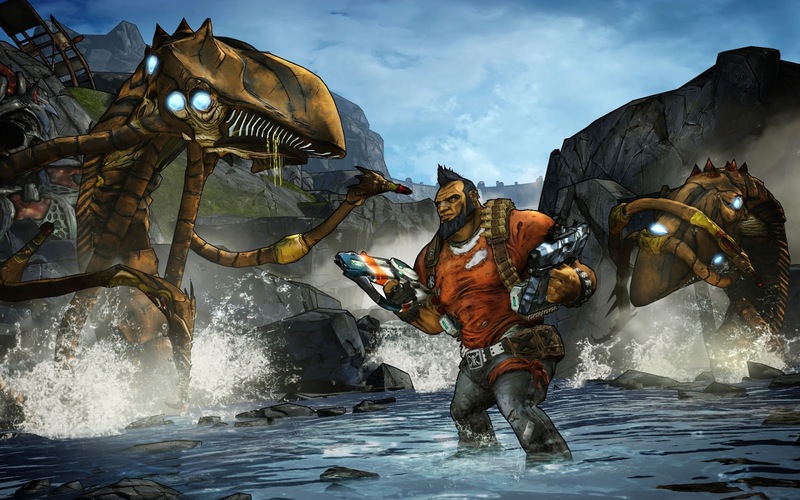 The multiplatform nominee for Game of the Year 2012, Borderlands 2 offered incredible cooperative shooter gameplay, and if the shooting wasn't addicting enough, then perhaps all of the RPG elements were. You had randomly generated loot and various options to build up your character. Perhaps while you were playing you could just stand still and marvel at the cel-shaded environments, heroes, and enemies. 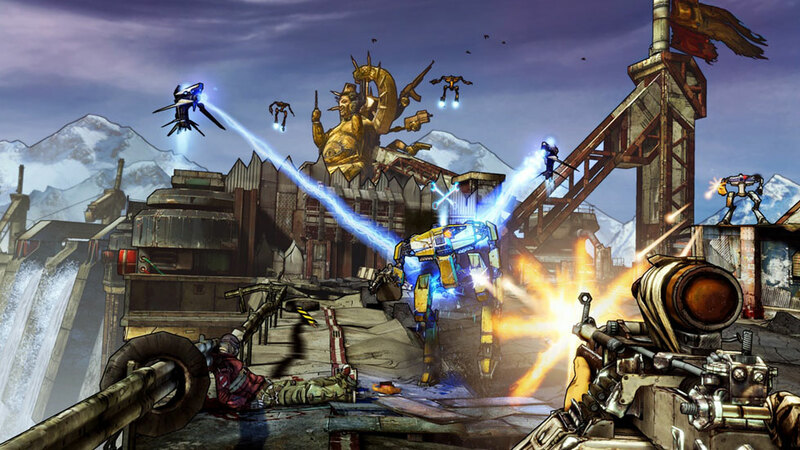 How could Borderlands 2 NOT be a nominee here? If you're looking for the best multiplayer competitive shooter of the year, don't go looking toward Call of Duty: Black Ops II's way-- though that game is stellar for multiplayer, too. No, gaze intently towards Halo 4's direction. Not only did it act as the part of one of the best first-person shooters in years, but it is one of the most gorgeous looking games of the year as well. Halo 4, I salute you. Any reason for the Wii U GamePad to exist was made with the launch of Nintendo Land. Containing twelve stellar attractions based on Nintendo properties, Nintendo Land delivered laughs, loads of fun, and plenty of hours of gameplay to captivate players. 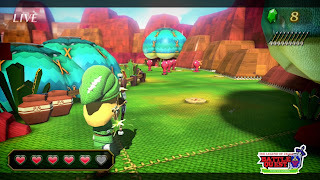 It is considered the Wii Sports of the Wii U console, but unlike what game it is compared to, Nintendo Land possessed a multitude of depth that keeps me coming back for more time and time again. 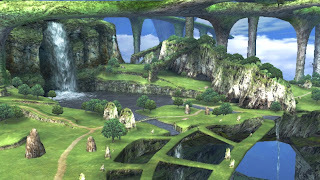 A game that North American gamers were close to not even being able to play without going the homebrew direction, Xenoblade Chronicles proved that you didn't need the ultra-superior processing power of an HD console to produce some stunning and breathtaking environments, many of which take dozens of minutes to cross in real time. Oh, and the gameplay wasn't too shabby either. In the mood for some high octane, high adrenaline third-person gameplay? 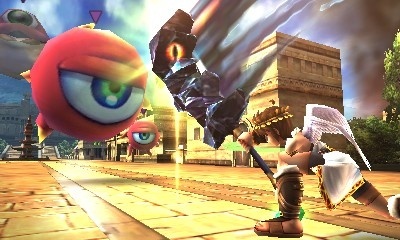 Then enter the hilarious world of Kid Icarus: Uprising, a game that was part serious, part laugh-a-minute. The game possessed two gameplay parts to it: one flight, one ground. All of it was entertaining. Add to all of that twenty-five chapters to go through, the best soundtrack of the year, and unlockables out the wazoo, and you have my favorite Nintendo 3DS game of 2012, and a nominee for Game of the Year 2012. The PlayStation Vita's valiant effort for 2012 was one of its launch titles, and the biggest one it had, Uncharted: Golden Abyss. If you told a younger me playing on a black and white Game & Watch that I would be able to play console-quality games on a portable device, I don't know if I would have believed you. 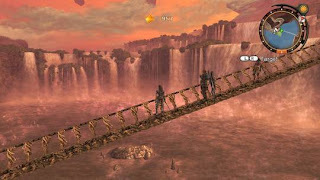 Here we are, though, and Uncharted: Golden Abyss is one of the best looking handheld titles of all time. Yesterday I mentioned that I understand how arguments about art happen when I see games such as Journey. The game was not just something you play once and then forget about. No, it was something that you played multiple times, and each time presented you with emotions you didn't know you could have while playing a game. 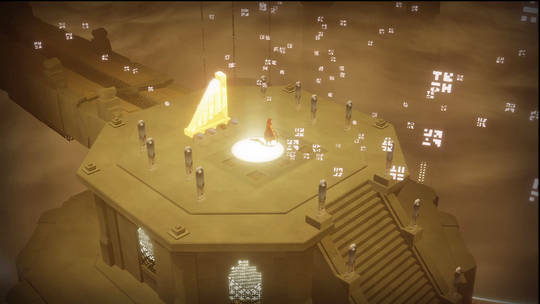 Again, Journey was indeed more than a game, and for that reason it is why it is a nominee for Game of the Year 2012. In a genre that is hard for me to stick with most games, Xenoblade Chronicles hooked me in for the long haul, throughout its 100+ hours of gameplay. With most RPGs, I find myself losing interest a good way through because the game can't keep my engaged. With Xenoblade Chronicles, that wasn't a problem. There was always one hard enemy I wanted to take down, one path through an expansive dungeon or area that I wanted to explore, or one quest that I wanted to complete. Everything about Xenoblade Chronicles is near perfection: the awesome soundtrack (which did win runner-up for Best Original Soundtrack this year, after all), the well done voice acting, the jaw-dropping locales that are rich and ripe for venturing through, and the appealing combat system that demands your attention and great teamwork. 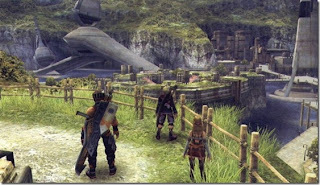 Xenoblade Chronicles is without any question my favorite game of 2012. It was a fond farewell to the under-appreciated Wii. We have come to the end of another year of awards. Yes, it is true. We must part. No, I'm not talking about you and I. I am referring to my tuxedo and I. This was a big award show, so I needed to dress the part. In all seriousness, I thank each and every one of you for taking a look at the SuperPhillip Central Best of 2012 Awards. This is without a doubt the most work I do throughout the year. I hope you enjoy what I have done as much as I have creating it. Next week we go back to something that resembles normalcy. Monday will see SuperPhillip's Favorite VGMs, and then we'll play it by ear then. Until Monday, have a wonderful rest of your weekend. Welcome to night four of SuperPhillip Central's Best of 2012 Awards. Tonight is a special night. Every winner this evening, along with Borderlands 2 from last night, will face off against each other to determine SPC's Game of 2012. I will be naming the best Vita, 3DS, Wii U, Wii, PS3, and Xbox 360 games of 2012. If you're ready, let's begin! 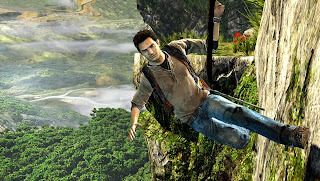 Join Nathan Drake on an action-packed adventure exclusively for the PlayStation Vita. While a lot of PlayStation franchises get watered down for portable entries, Uncharted: Golden Abyss bucked such a trend. It featured a full-fledged and fully fun campaign filled with intense gun fights and perilous platforming. Golden Abyss was as close to golden as one could get with the Vita launch lineup. Hit a wicked shot in the single-player or take to the tee online with friends or against the world. 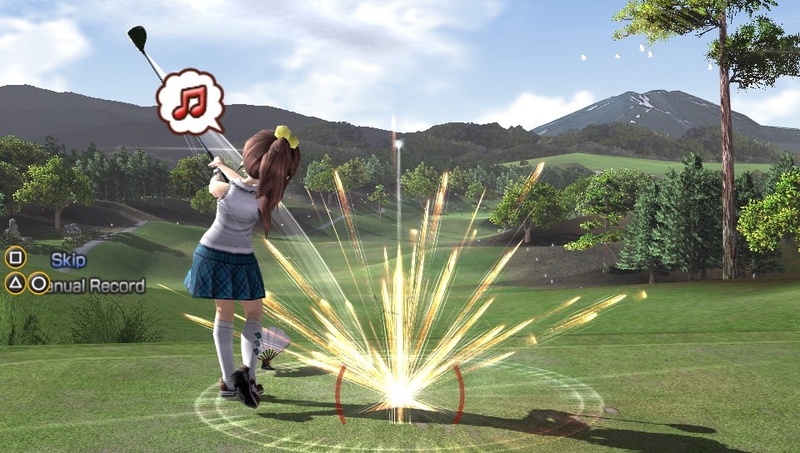 The latest in the wonderful Hot Shots Golf series brought with it quick bursts of fun on one of six well-designed golf courses, and the ability to take on challengers whether it be against the AI or through online tournaments. World Invitational was everything fans of Hot Shots Golf love about the franchise. SCE Studio Liverpool's final offering before being closed was a great way for gamers to remember the developer by. WipEout 2048 featured an abundance of high octane thrills, chills, and yes, spills. 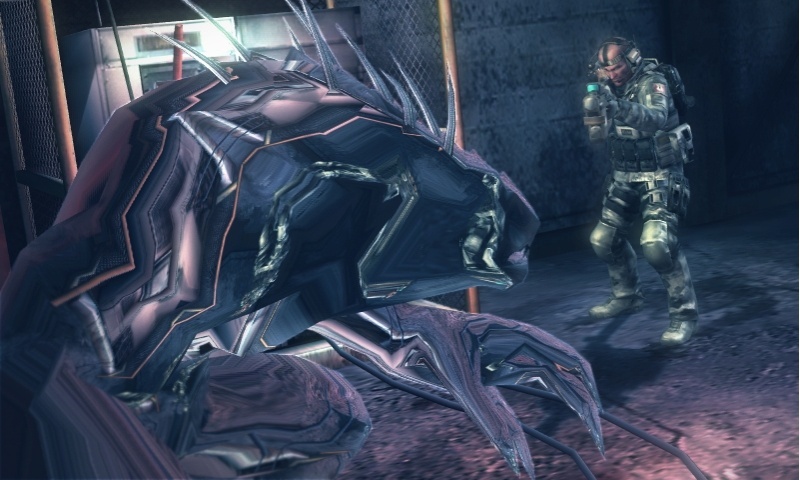 Players could take the challenge to the AI within the mode-heavy single player experience, or do battle against human players online. 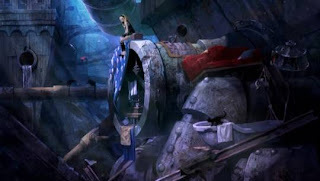 The only non-launch title on our list of nominees, Gravity Rush contained a bevy of single player goodness-- an expansive open world to explore, side quests along with the mandatory story missions, and the part of the game that truly set it apart from other titles-- sublime gravity powers. 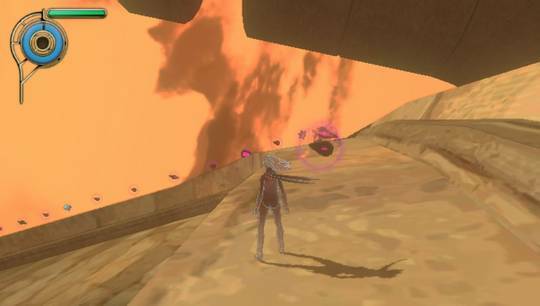 Gravity Rush was a game that had a lot going for it, and it succeeded in numerous ways. 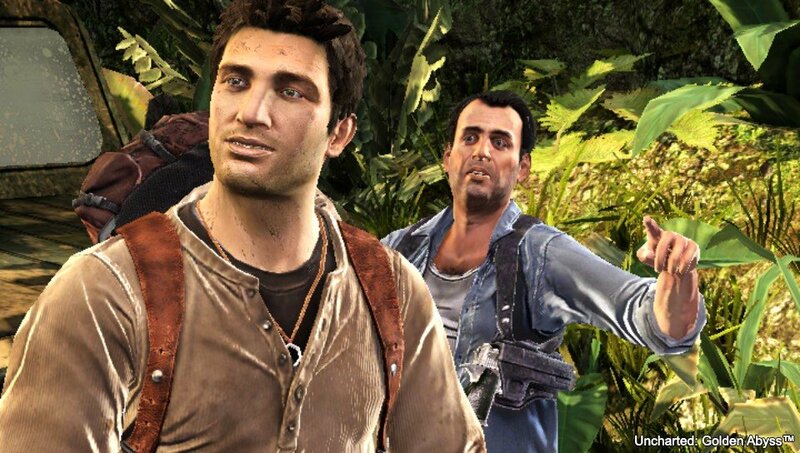 It seems like a dream that we can now get console-quality big-budget titles on a handheld, but here we are with Uncharted: Golden Abyss. With new touch controls implemented into the game, there is a level of innovation in the series that hasn't been seen for a while. Sony Bend has done a remarkable job crafting Naughty Dog's IP and making it their own. 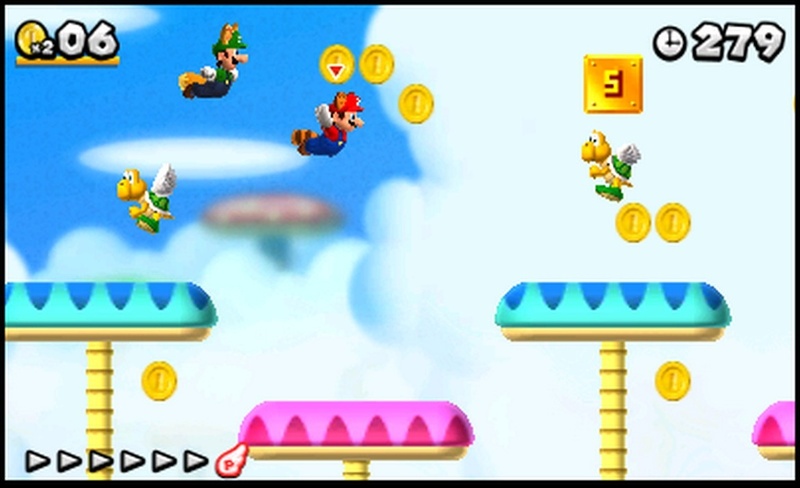 Mario and Luigi return to scamper through a multitude of creatively designed courses in New Super Mario Bros. 2. This time around, the focus was on accumulating as many coins as humanly possible. A large coin counter tabulated all of the game's collected coins, whether the player went through the regular single player mode or tried out three random courses within the all-new Coin Rush mode. 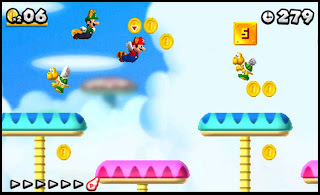 NSMB 2 might not have innovated in the most astounding ways, but it was a splendid platforming venture regardless. After twenty or so years of being on hiatus from starring in a game, Pit returned, along with a bevy of other characters in Kid Icarus: Uprising. The game consisted of both flight and ground parts to each level, and an interesting control setup that once gotten used to, was viewed by yours truly as the best way of maneuvering Pit. No, dual analog just wouldn't do. Along with the campaign you had two online competitive modes that even after the bounty of hours put into solo mode, you had much more to get out of Uprising. 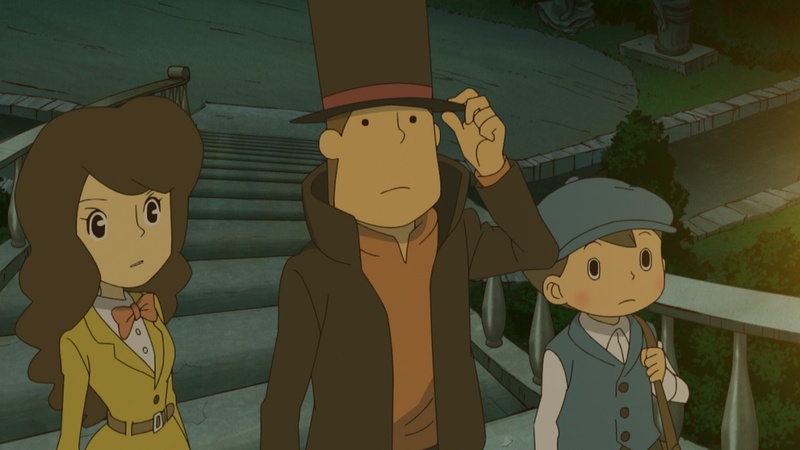 Professor Layton's first 3DS puzzle adventure arrived in Japan at the launch of the system. However, Western gamers had to wait over a year to try it. With countless new puzzle types that the 3DS's predecessor couldn't have thought of doing, a captivating story that delves into the professor's past, and gorgeous new polygonal character models, Layton's latest astounded when it released. It was the perfect game for beginning players and experts alike to sit down and be perplexed by the puzzles by. Released in the early part of 2012, who could have foreseen that the 3DS's exclusive Resident Evil game would be praised more than the HD twins' Resident Evil 6? That is exactly what happened. 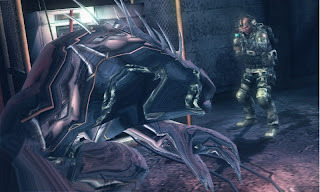 Resident Evil: Revelations was a great mix of classic survival horror and the action that more recent Resident Evil games have been showcasing. Then there was the awesome cooperative online Raid Mode, which loot-whores like myself just adored. If you're a 3DS owner lacking this title, perhaps you have been infected by the "what is wrong with you" virus. Sora and Riku split up and had two separate but connected adventures in the latest of the Kingdom Hearts series. 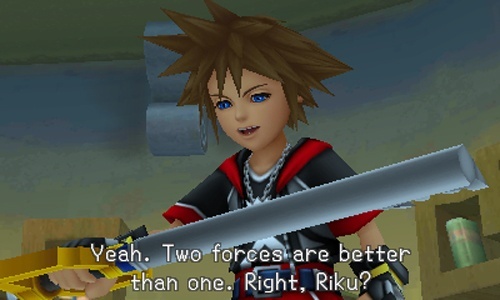 Generally the Nintendo handheld Kingdom Hearts games are seen in a negative light, but Kingdom Hearts 3D: Dream Drop Distance bucked such a tradition. Full of fast action-RPG fun via the Flowmotion system, new Disney worlds to explore, and the convoluted plot fans have come to expect of the franchise, Kingdom Hearts 3D successfully managed to entertain and enchant 3DS owners this past year. Pit's return to the spotlight did not go unnoticed by SuperPhillip Central. No, it did quite the opposite. Kid Icarus: Uprising is chock full of surprises that deliver delight to those who play it, given they can learn the control scheme. Once that is done (after the second chapter the game is easy to control), players can experience the most hilarious, self-aware dialogue of the year, a game packed with secrets unlocked by performing an abundance of in-game challenges, and levels full of utter fun. Masahiro Sakurai and his team delivered once more. 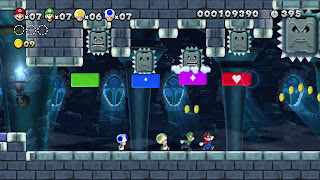 Two New Super Mario Bros. games in the span of a handful of months might seem like overkill (okay, it IS overkill), but when they are so vastly different and both contain ingenious level design and ideas, it's hard to complain. 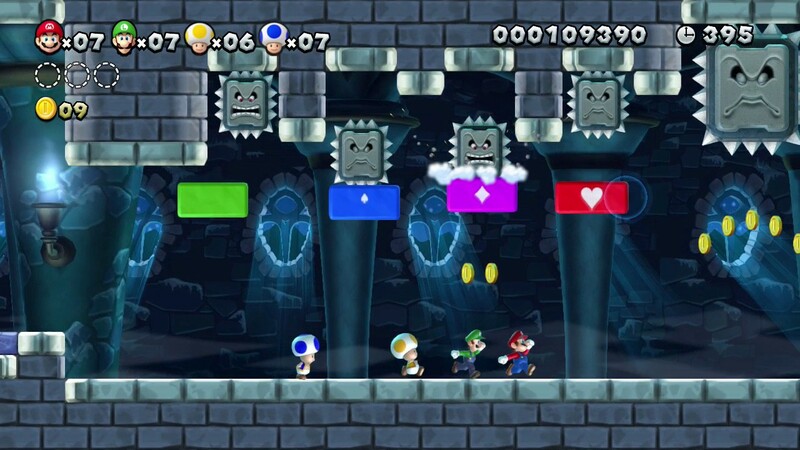 New Super Mario Bros. U might have reinvented the wheel on 2D platformers, but it did deliver a whole heap of single player and multiplayer fun. The new Boost Mode allowed beginner players and those players who like to screw over their friends to join in on the fun. The addition of HD made the worlds of the game look better than ever before. 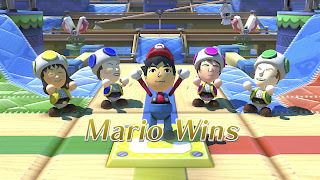 NSMB U did it its duty and did it wondrously well. At first glance, many simply shrugged ZombiU off as some generic shooter. However, those who actually spent a decent amount of time with it found a game that they could live out their wishes of being in a zombie apocalypse situation. ZombiU was not about flashy explosions and mowing down millions of the undead. It was about patience and persistence. If you went running and gunning down hallways, you would get bitten and you would die. To master the game you needed to master using the Wii U GamePad and all the clever uses Ubisoft managed to present the player with. 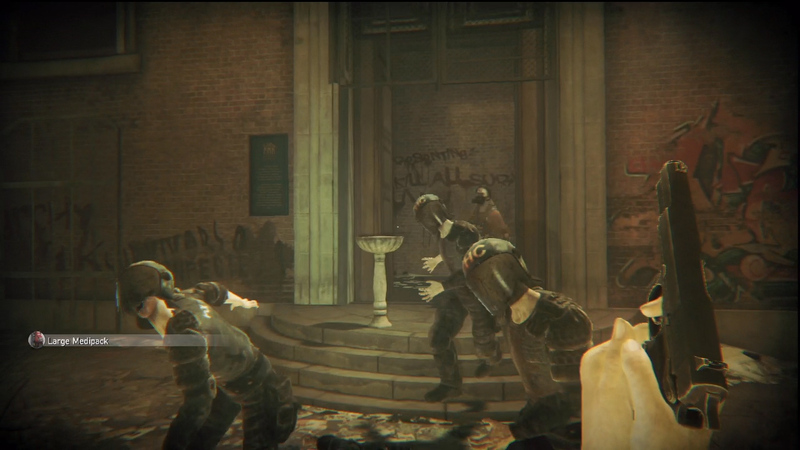 ZombiU was a delightful little survival horror game with a very stupid name. 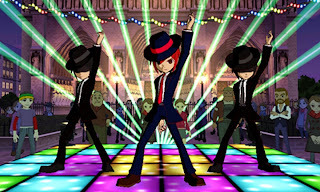 Join Maxwell once again in this Wii U action puzzle game where solving dilemmas came down to the player's imagination. 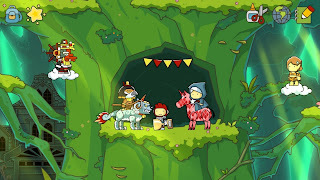 The first title of the series to appear on a home console, the world of Scribblenauts Unlimited was presented in glorious high definition, and it looked absolutely stunning. 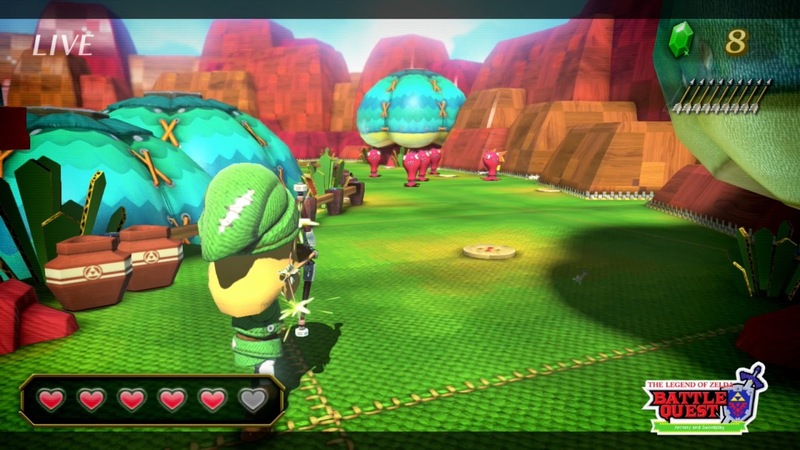 The game could be played entirely on the Wii U GamePad, but that was not Nintendo's innovative controller's sole use. It could be utilized to type in words to solve puzzles as well as to design characters and items via the editor, a Wii U exclusive feature. Quite frankly, Scribblenauts Unlimited's potential continues to be... well.... unlimited. The game that Nintendo wanted to best display the various uses of the Wii U GamePad was a more daunting experience to beginners than Wii Sports was. However, it certainly was much better for it. Nintendo Land featured twelve unique attractions based on several Nintendo franchises, such as Mario, Pikmin, and Metroid. Nintendo Land was the type of title that livened up many a dull party and replaced the loud yawns with booming guffaws. Whether you were running from a trio of Toads as a Mii dressed as Mario, or shooting down Zebesians in Samus's Gunship, Nintendo Land delivered a package of pure unadulterated fun. Nintendo Land is the game that sold me on the Wii U. I didn't have any idea what the Wii U GamePad could give me as a gamer that I didn't already have, but I was made a believer with quick sessions of Mario Chase, Animal Crossing: Sweet Day, Metroid Blast, and Yoshi's Fruit Cart. Nintendo Land proves that even the simplest of ideas can be made fun, that asymmetric gameplay has its benefits, and most importantly, the Wii GamePad can bring entertaining experiences that gamers didn't even know they needed until they used it for themselves. Nintendo Land truly is the mark of a marvelous and innovative game. 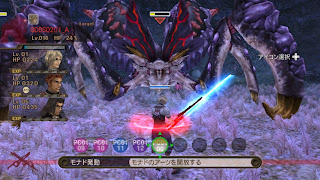 Creating an MMO-like RPG on the Wii is one serious undertaking. That was exactly what Monolith Soft did with Xenoblade Chronicles. The game had hell coming out to North America. Our branch of Nintendo finally surrendered, but only allowed the game to be sold on their online shop and at GameStops. I'm seriously glad we at least got that because I would have never known the tremendous treasure I would have missed with Xenoblade Chronicles. 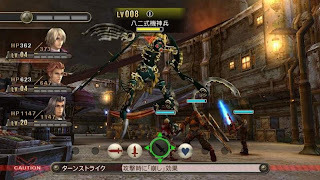 Take parts of JRPGs that people like, mix them with some third-person elements such as cover, and throw in some real-time strategy love, and you get part of what made Mistwalker's Wii epic The Last Story so interesting of a game. Like Xenoblade Chronicles, Nintendo of America had no desire to localize it. Fortunately, XSeed Games did the work for them, and Wii owners across the continent got to see what all hubbub was about. 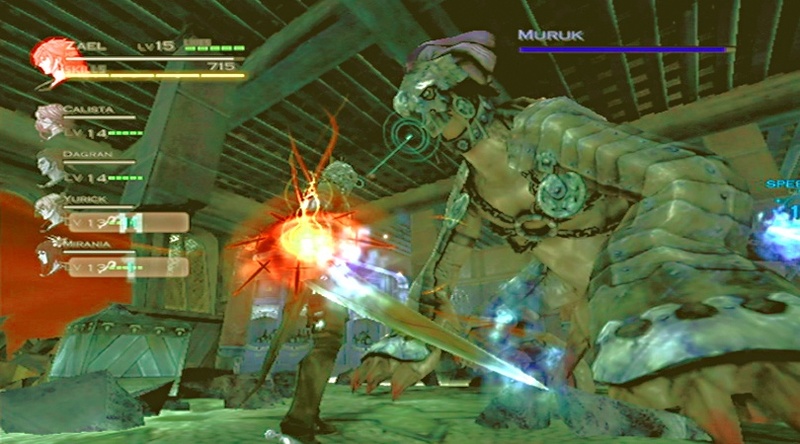 The Last Story contained deep and rewarding RPG gameplay that Hironobu Sakaguchi (of Final Fantasy fame) is so well known for. Unlike Mario's 25th anniversary collection that released two years ago, Kirby's Dream Collection: Special Edition, a compendium that celebrated twenty years of all things pink puffball, was more than a ROM hack. 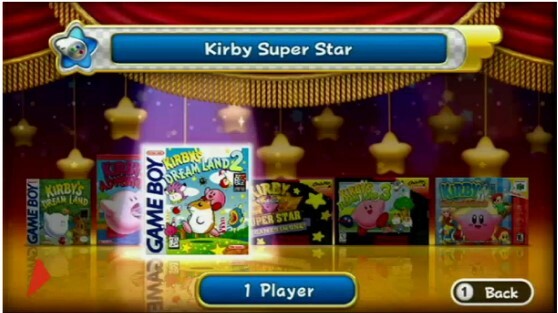 Instead it was a collection that was honestly worthy of the Nintendo name, featuring an interactive timeline of the franchise, a bonus CD with three tracks made specifically for the collection, and six playable games, including Kirby's Adventure and Kirby 64: The Crystal Shards. It was a fantastic way of ringing in Kirby's 20th. Mario's latest shindig brought with it a wholly new way of playing the party. 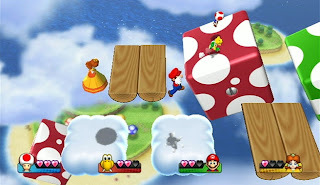 Instead of the traditional Mario Party formula, all characters playing on a particular board moved together on one vehicle. Whoever was the captain at the time reaped all of the rewards... and all of the punishment. Mario Party 9 came down to using the right die at the right time. Then there were the mini-games that were some of the most fun I've had with the franchise. Mario Party 9 might be too different for some, but the changes were just nice for me. Full of immense areas to explore and the sense of adventure and wonder that not even many HD titles could deliver, Xenoblade Chronicles is an RPG fan's dream. 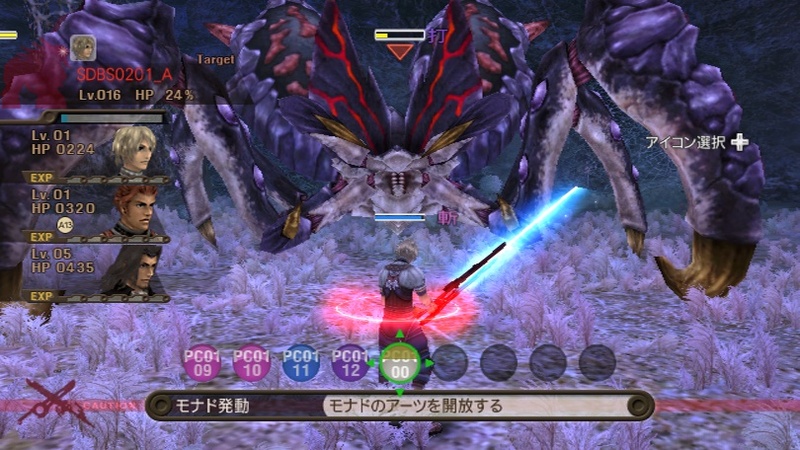 The combat system makes you feel like you're a part of a team instead of simply going through the motions, the optional difficult monsters that traverse areas that you are supposed to explore constantly keeps you on your toes, and the presentation is without a doubt some of the Wii's very best. Xenoblade Chronicles was a perfect sendoff to the Wii in North America. 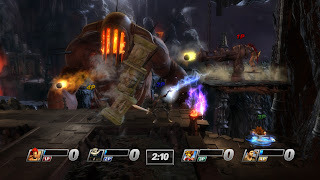 I think that the name Super Smash Bros. came up more than the name of this game, even when the reviews were about PlayStation All-Stars Battle Royale! Perhaps I'm exaggerating, but regardless of that, this Sony all-star brawler definitely stood on its own two feet. Containing a cast of formidable characters both first and third-party, a fresh take on the party fighter formula, and clever throwbacks to the all-stars' past, this much anticipated title of popular players in PlayStation history never ceased to amaze me. ModNation Racers was United Front Games' first attempt at bringing the creative side of kart racers to Sony's PS3. Their second attempt was much more successful-- why else would it be nominated for Best PlayStation 3 Game? It is LittleBigPlanet Karting. Not only was the amount of content in the game already astounding, but the creator tools were amazing. While it took major skill to come up with jaw-dropping tracks, even the most neophyte creator could drum up something creative. Take three of the best 3D platformers from the PlayStation 2 generation and put them all on one disc and in high-definition glory, and you get the Ratchet & Clank Collection. Each entry of the franchise brought with it something new. New players of the trilogy could see exactly how far the franchise has come, and in my opinion, why the original trilogy is still lombax of the walk when it comes to the series as a whole. Throw in online multiplayer for Up Your Arsenal, and you receive one brilliant bargain. 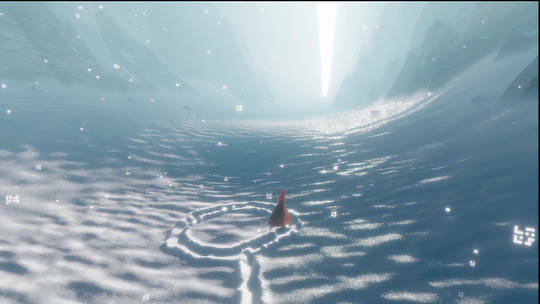 If there was a title that could win an award of this caliber simply for being beautiful, Thatgamecompany's Journey would definitely take that prize. However, Journey doesn't have to worry about only winning award because of its beauty, its expert gameplay gives it a bonus benefit, too. The addition of going through parts of the game with an anonymous players was something daring, and it worked well. Journey was a masterful game, and it was a downloadable title, no less. Few games in this award show of mine have given as many goosebumps as Journey has. 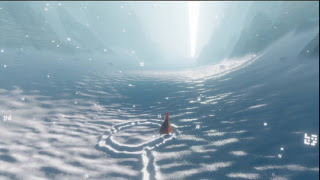 Journey is the type of title that is relentless in how it delivers emotional reactions to the player. It is more than a game in that regard. For all of the arguments of how games are or are not art and how I couldn't care less about either side, I see with games like Journey why such arguments occur. 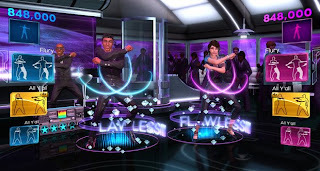 The sole Kinect game nominee on this list (and for good reason), Dance Central 3 showed many of us that Kinect occasionally can deliver a title that works well. Whether you were trying to accurately portray the dance movements by the avatar on screen or you were making up moves on the fly, Dance Central 3 gave prospective dancers enough value for their money to shake what their mamas gave them. 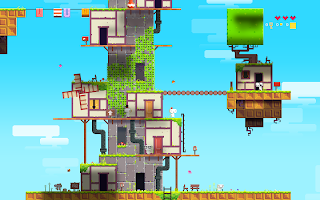 A clever platforming game that defied the laws of normal 3D platforming because of its 2D roots, Fez consisted of players collecting cubes to advance through the game. Players could rotate each level by 90 degrees to unveil new doors and passages for the main character Gomez to venture to. 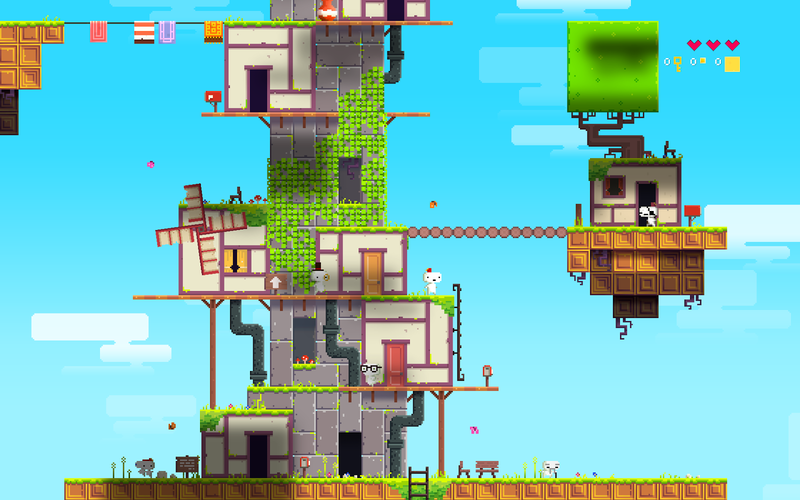 Fez was an engaging downloadable game that gave players with the proper mental muscle a delightfully enjoyable time. 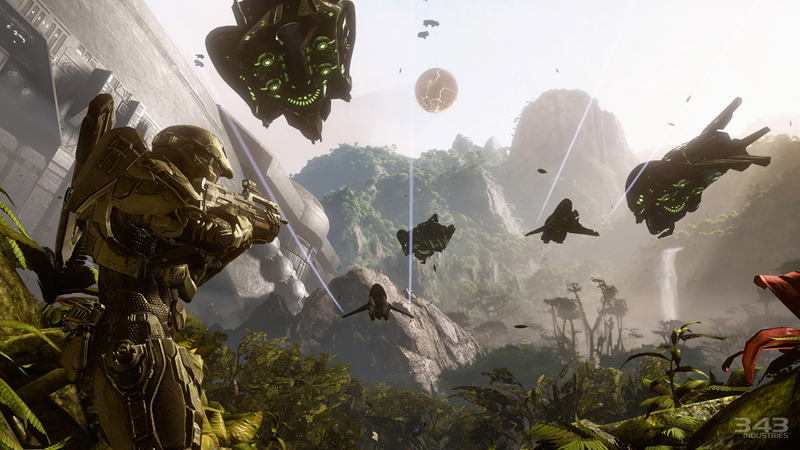 Players once more took control of the legendary Master Chief as he did battle against the Covenant as well as a new threat. Everything from the pacing of the main campaign to the balance of the multiplayer is near perfection. The ability of 343 Industries to mix on-foot combat with vehicle battles made for some serious fun times. 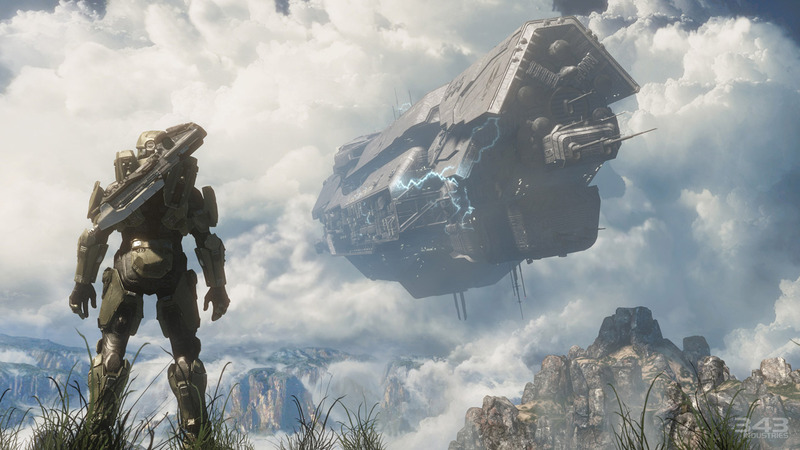 Halo 4 may just be the best first-person to come out in many years. The Forza series went open world with Forza Horizon. 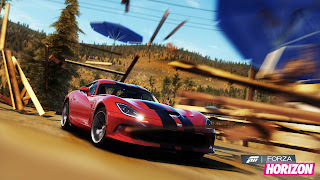 Don't be fooled, though, as Forza Horizon still featured all that fans loved of the franchise, such as a huge array of vehicles and physics that felt very real. Speaking of the open world, the game finally delivered on giving enthusiasts a playground to tool around in and speed through. Forza Horizon was built for speed freaks and car lovers everywhere. You don't gross $300 million in one week without having some semblance of awesomeness to you. Without a doubt, Halo 4 has just this. The campaign features some of the most breathtaking vantage points I've seen from a console game, the action is always intense, and the multiplayer is as well balanced as ever. Halo 4 is one of the greater first-person shooter efforts out there, and it certainly shows that when it comes to the FPS genre, no shooter series is better than Halo. Tomorrow night will conclude our big festivities. Again, all of the winners tonight and the Multiplatform Game of 2012, Borderlands 2, will be competing for the title of Game of 2012! The conclusion of SuperPhillip Central's Best of 2012 is tomorrow, so stay tuned! Welcome to Day Three of the SuperPhillip Central Best of 2012 Awards! If you're just joining us, we have been through eight awards already. Just browse the front page of the site for the days you missed. Regardless, today we just have three awards to hand out, but they are important ones. I am handing out the awards for Most Overlooked Game, Developer of the Year, and the lead up to my Game of the Year award, the Multiplatform Game of the Year. Put on your seat belt, folks. The ride is about to get wild! Play as Kat as you enjoy a world ripe for exploration. Take on story missions, side quests, optional bosses, and level up your character as you alter the flow of gravity. Gravity Rush was even called niche by its developer, so it isn't that much of a stretch that it would sell in niche quantities. Regardless, that doesn't give anyone with a Vita an excuse to not own this game! 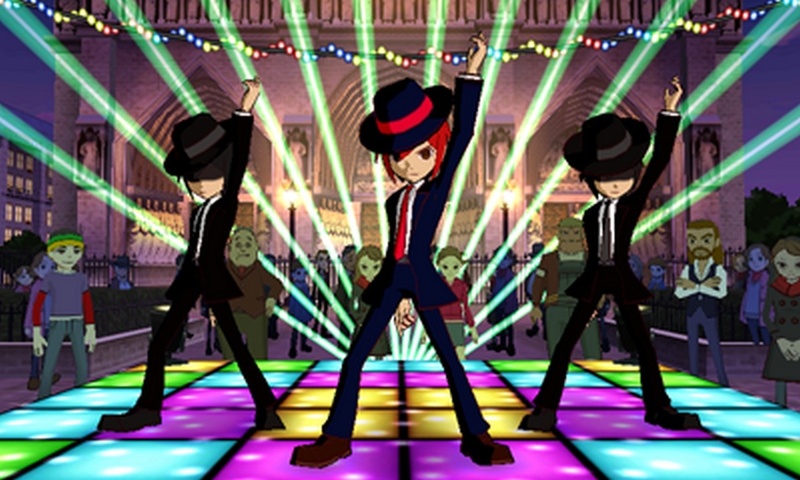 A Professor Layton-like adventure except only with rhythm games instead of puzzles to advance the story, Rhythm Thief & the Emperor's Treasure was released over the summer (like many of the nominees in this category) in North America to little, if any, fanfare. That's a shame, too, because the game features some really entertaining games, including some nods to Sega franchises like Samba de Amigo and Space Channel 5. 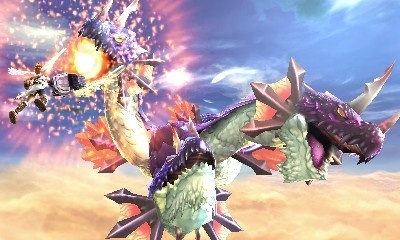 It is my hope that more people get a chance to play this overlooked 3DS game. Released in the summer, and one of the first 3DS games supporting downloadable content, Theatrhythm Final Fantasy is a franchise fan's dream. 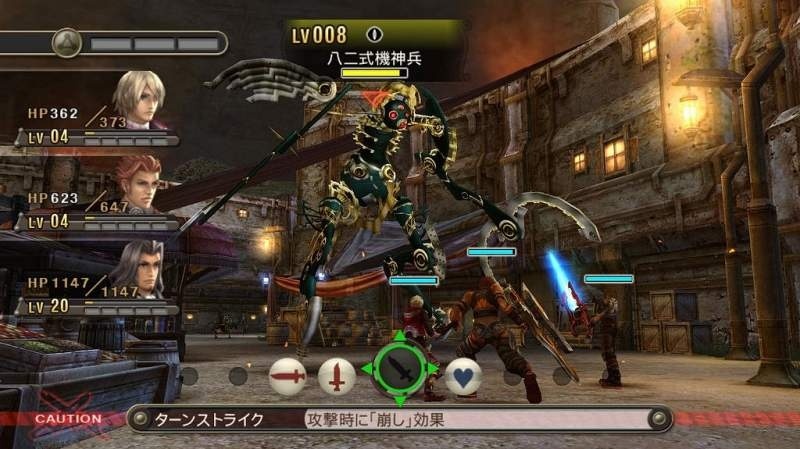 It has a multitude of music from all thirteen mainline games, RPG aspects, and loads of content. An iOS version of the game released, and while it is missing a good portion of the content of the original 3DS release, it is another chance for Theatrhythm Final Fantasy to get some attention. XSeed, the publisher of the game in North America, stated that The Last Story was their most successful title. That's great news, but their games tend to sell to a niche audience anyway, and The Last Story is just another one of those. 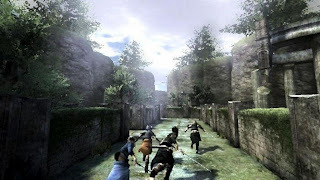 Released at the end of the Wii's life, the game, with Hironobu Sakaguchi (the mind behind Final Fantasy) at the helm, has been glanced over by many of the mainstream press. Too bad for them as the game is rather good, if not outside the norm of your standard JRPG. Take the poor selling Wii original, spruce up the visuals and give it more content, and you get New Little King's Story for the PlayStation Vita. The game was only available via digital download. I can only imagine how badly the game would have been overlooked had it been a full retail title. Regardless, Vita owners could do themselves a favor by heading to the PlayStation Store and downloading this delight of a game. 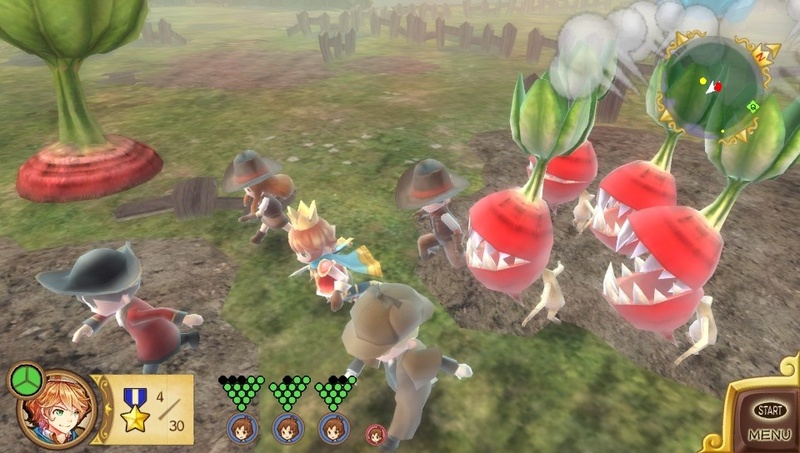 While the Wii original version of Little King's Story featured a more childlike aesthetic, New Little King's Story presented players with taller characters. The Vita version of the game gives a lot more reasons to love it. There is a great level of charm that the game exhibits, and it is a doggone shame that many Vita owners and press members let this title fall through the proverbial cracks. Sony Bend is well-known to Sony handheld fans. They have created a lot of the most memorable PlayStation Portable titles. Now they have made the transition to the Vita, and with that transition, they made Uncharted: Golden Abyss, a possible Best PlayStation Vita Game contender. Sony Bend's quality is consistent, and that is all you can ask for with a developer. The makers of such popular independent games like Fl0w, Flower, and this year's Journey, Thatgamecompany's ability to create simple yet beautiful and thought-provoking games is unmatched in the indie developer industry. They have somehow made a downloadable game that is taking Game of the Year wins from retail titles, something that would have been unheard of years ago. For the above reasons, that is why Thatgamecompany is a nominee this year. Taking over the reins of a super-popular series is no easy task. Just ask Treyarch regarding Call of Duty. 343 Industries had a huge overtaking ahead of them when they moved in to develop Halo 4 after Bungie and Microsoft parted ways. Seeing as Halo 4 is an absolutely killer game, 343 Industries successfully got the job done and impressed many, including yours truly, in the process. Nintendo EAD is split up between multiple development groups. Nintendo EAD Software Development Group No. 2 are the minds behind the Wii U launch title Nintendo Land. The numerous uses the Wii U GamePad does is without a doubt fantastic. 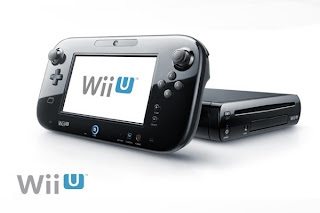 This group of Nintendo EAD made it so the GamePad had a purpose and now Wii U developers, Eastern and Western, can now imagine new ways for the GamePad to be utilized, and it's all thanks to Nintendo EAD Software Development Group No. 2. 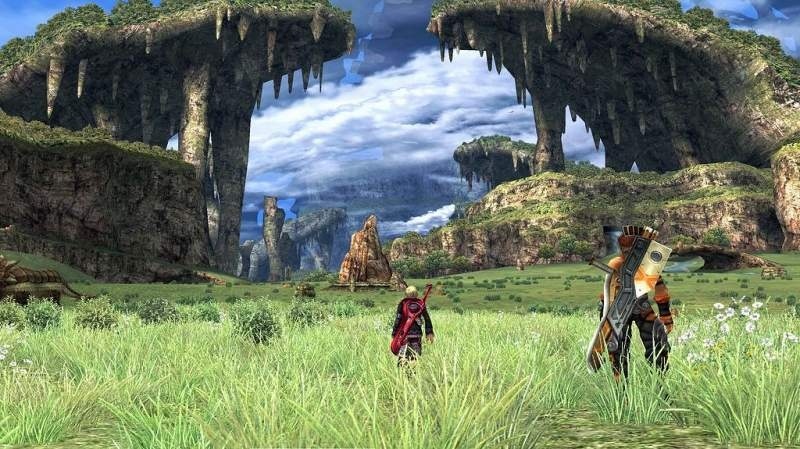 The makers of the brilliant Xenoblade Chronicles, Monolith Soft created one of the best Wii games the console has seen, and one of the best RPGs of the generation. 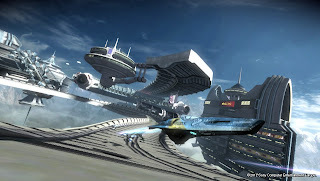 Xenoblade Chronicles was a truly ambitious project for the under-powered Wii, and it was met with universal critical acclaim. Just how Monolith Soft managed to fit the game on a Wii disc is nothing short of remarkable. Nintendo Land has given my family and friends hours upon hours of enjoyment. The myriad uses of the Wii U GamePad create new and exciting gameplay that other platforms just haven't been able to do. It is because of the hard work of Nintendo EAD Software Development Group No. 2 that the tremendous undertaking of Nintendo Land saw release and works so wonderfully well. 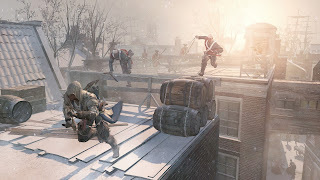 Bringing with it a new game engine, new setting, and new main playable character, Assassin's Creed III was an action-adventure game with elements of stealth and an open world to explore to the player's content. The actual game world was much larger than past games, and discovering new areas was a treat. The modified free running allowed players to be much more elegant with their maneuvers, the naval battles added to the game, and multiplayer made for replay value after the lengthy campaign was completed. 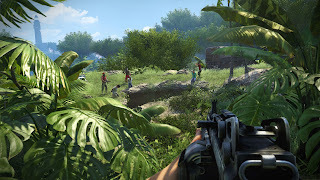 Speaking of open-world gaming, Far Cry 3 presents players with a large island setting and a compelling narrative that will keep them enamored till the ending credits. 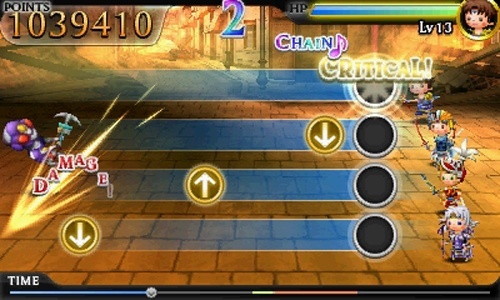 The open-ended nature of the game allows for players to earn experience and follow different skill trees and plot attacks on enemies with varying strategies. Far Cry 3 is an engaging and wondrous first-person shooter that makes those who play it remember why they love sandbox gaming. 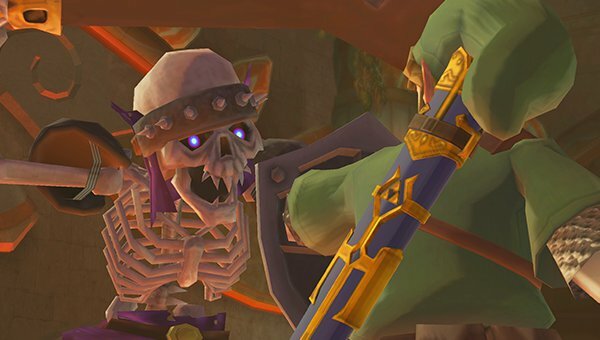 Take one part The Legend of Zelda and one part God of War, and you get Darksiders II. 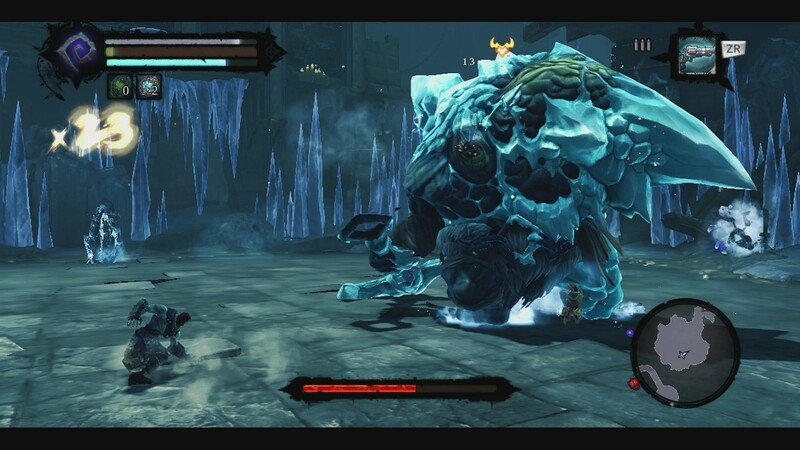 The game released in August originally, but it received a Wii U port with the DLC from the 360, PS3, and PC versions already on the disc for free. 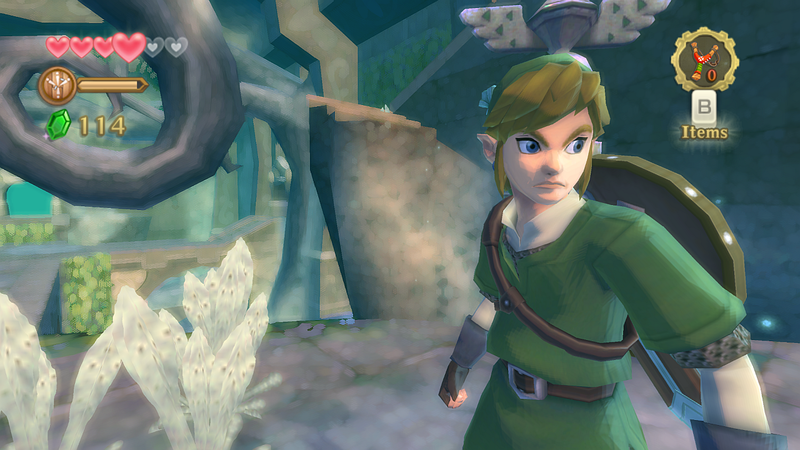 Zelda-type games are rare, and those of which that try their hand at the genre and succeed are even rarer. Vigil Studios managed to make a sensational game with Darksiders II. Gearbox Software brought Borderlands 2 to the market, and it satisfied many gamers with its first-person shooting, action RPG gameplay. 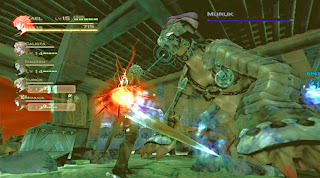 The game was made up of various mandatory quests, optional side quests, and contained features such as randomized loot, online cooperative gameplay for the main campaign, and the ability to evolve one's character a la RPGs. All of this added up to create one of the more intriguing multiplatform games of the year. I'm noticing a trend here with the last few nominees. The first-person perspective is quite popular. Well, Dishonored continues that previously mentioned trend with a series of assassinations that focus on player choice. How a player proceeds to finish each mission determines how the story unfolds and what missions are available to him or her. 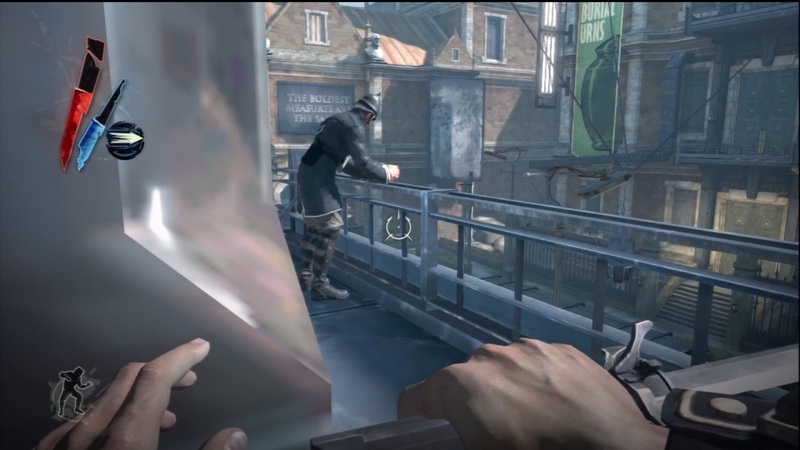 This type of player-affected gameplay makes Dishonored a worthy nominee to Multiplatform Game of 2012. Let's get colorful, shall we? 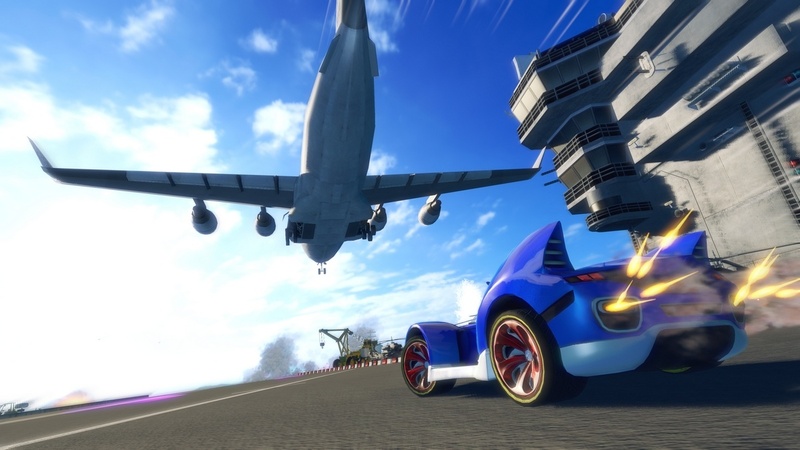 Sonic & All-Stars Racing Transformed is Sumo Digital's second outing with Sonic and the Sega gang. No matter your level of proficiency with the game, there is a difficulty setting for you. With colorful courses with great variety, a prodigious number of nods to Sega franchises, and tight racing action, Sonic & All-Stars Racing Transformed speeds ahead of a lot of racers this past year. The highly addicting nature of building up your character, gathering loot, and teaming up with friends online all made Borderlands 2 the prime pick for Multiplatform Game of the Year for 2012. I didn't even touch on the gorgeous cel-shaded graphics, something not generally seen in first-person shooters. All of this creates the best game that you can get on multiple platforms. We only had three awards this evening, but that was to give me a breather until tomorrow where I will be posting the results of six-- count 'em-- six awards. We'll be looking at the best Vita, 3DS, Wii, Wii U, PlayStation 3, and Xbox 360 games. Please look forward to that. Until then, we'll see you tomorrow for more of the SuperPhillip Central Best of 2012 Awards!